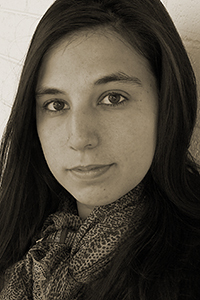 Sara Sams’s poems and translations have appeared in Hinchas de Poesía and Drunken Boat. She has taught English in Granada, Spain, and creative writing at the National University of Singapore. Sams teaches composition for second–language learners at Arizona State University and works as the translations editor for Waxwing Magazine.